The concentrated bio power of maple water, stem cells, and more. From lotion to serum to UV damage care, this all-in-one gel cream is all you need. A convenient product as it is all-in-one! My skin absorb it very quick and this make my skin feel moisturizing. Gel with lavender smell. Sticky texture but easy to adsorb after messaging. After absorbing, no more sticky feeling. I received a 5g sample. It has a soothing smell. A little bit of gel goes a long way. 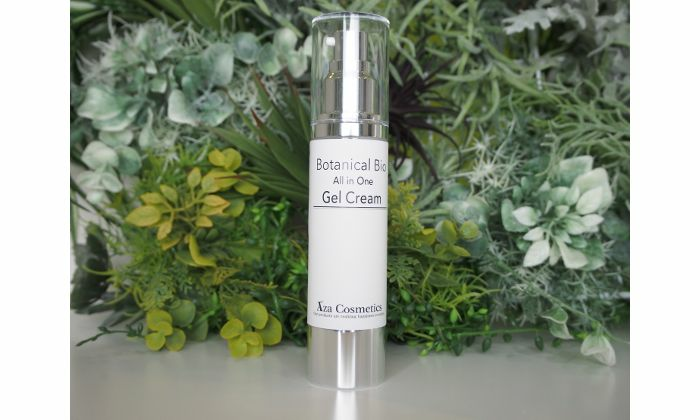 My skin absorbed the gel cream quite fast and it doesn't leave a sticky feeling. It is also not oily. Love this! I receive a tiny 5g sample. As I have dry-skin, this product can really moisturizing my skin. And the moisture can last for a few hours.